Not wearing your hearing aids you’ve purchased? Are you unhappy with their performance in background noise? Visit Hearing Aid Source today. If you feel like you haven’t gotten your money’s worth, take them out, dust them off, and bring them to us. Hearing aids are a significant investment. At Hearing Aid Source we believe the success of a hearing aid fitting can only be defined by the clients’ satisfaction and regular, daily use of the product. If you’re less than thrilled with the performance of your hearing aids, contact us for a free adjustment. We’ll also give you our Best Price Service Plan™ at no charge, which means two FREE adjustments and FREE hearing aid cleaning for the life of your hearing aid. 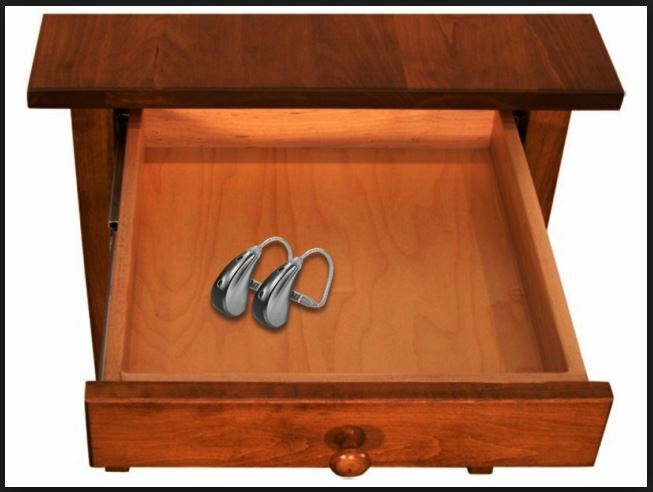 Socks belong in a drawer, but hearing aids belong in your ears! Call us at (416) 463-4327 or Click Here for a FREE adjustment and FREE service plan to give new life to your hearing aids.